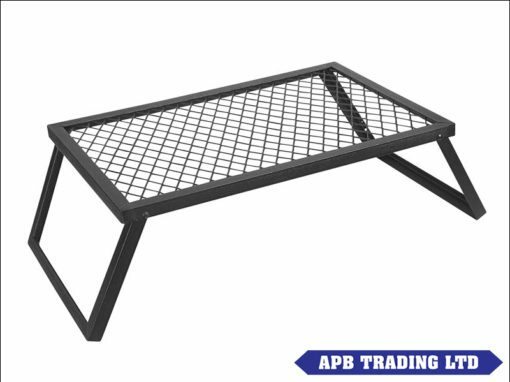 This heavy duty camp grill is ideal when using cast iron cookware as well as any other cooking equipment used on your camping trips and overlanding adventures. The heavy gauge metal frame and iron mesh grill surface is supported by sturdy legs that fold underneath when not in use, allowing it to take the weight of mutliple pans/kettles/cookware etc. 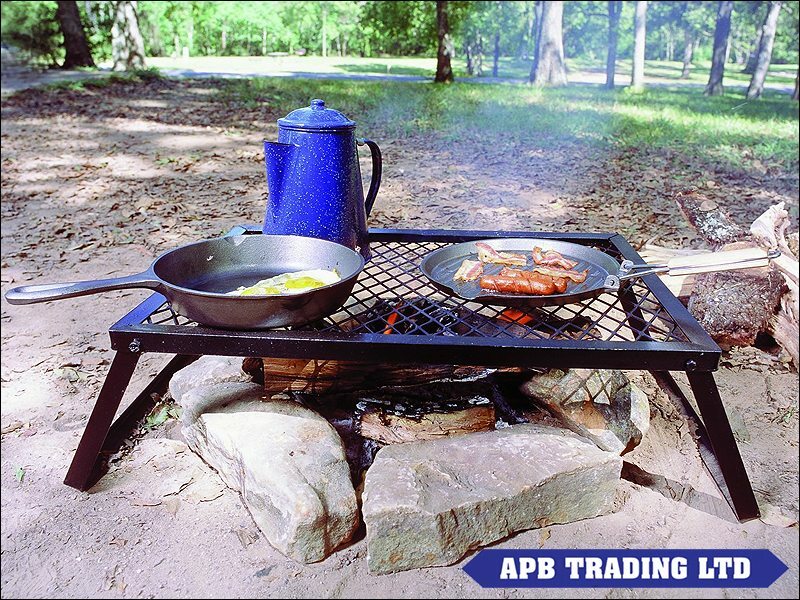 Perfect to use over top a campfire and create your own mini outdoor kitchen at your campsite. We are able to ship outside of the UK, however, if you wish to do so please contact us directly to discuss shipping locations and costs. You can find our contact information in the ‘Find Us’ or ‘Contact Us’ links at the bottom of this page under Company Information.